Scheduling inspections on a smartphone? Try the mobile version of My Permits. 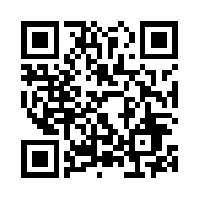 Scan to install the My Permits app for iPhone or Android. Apply for building permits, submit plans and manage active projects. 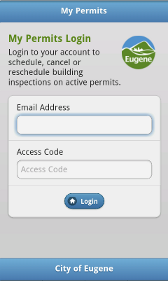 Schedule, cancel or reschedule building inspections online for issued building permits. Calculate the structural plan review fee due when plans are submitted or the plan review and permit fees for commercial mechanical permits. Search for building permits by permit number, address or map and tax lot number. You can also search for permits and projects associated with a particular person or business and by contractor name. Create reports on submitted applications, issued permits, summary construction data and plan review and approval times.